Corporations are “legal fictions” so saying that the personhood of corporations is a legal fiction doesn’t really add much. Since corporations have basic rights (freedom of speech) why shouldn’t they have responsibilities? Damaging, ignoring or leaving a society would not be acceptable for an individual, so why does a corporation only have to be avaricious? Why shouldn’t a corporation be virtuous? I would say that the term “social justice warrior” is always pejorative since I believe that it was coined with just that purpose. The brute fact is that most public companies have no choice. They are in bitter competition for capital, and a company that is judged by the market to be doing less than it could to maximise shareholder return will be vulnerable to a takeover bid. So, except for privately held companies, and perhaps for mammoths like Apple, socially responsible behaviour can only be imposed from the outside, whether by boycott or by legislation. None of which contradicts what you say, but it does constrain it. Thus there is little point in grumbling that companies are greedy, and every point in attempting to rein in corporate influence on legislation. One of the inhibitions I have had about embracing Stoicism as a guiding philosophy has been its relative silence on social justice issues. This post has, however, helped me see its potential in this area and, in particular, in relation to two of the major ills of current public policy making: namely the reliance on simplistic, ideological solutions and the tribal nature of debate. It would be interesting to see a stoic leader in action today: one whose modus operandi was to determine public policy issues by 1) seeking bespoke solutions, 2) that were informed by virtue ethical considerations, and 3) which took account of their potential impact on everyone. The process would no doubt be timeconsuming and produce unpredictable – possibly idiosyncratic – results, but they would be ones, I think, that stood more chance of bringing people together and serving social justice than ones underpinned by ideology and tribalism. How such a leader would get elected is another matter. I guess I’m going to make a distinction between a legal construct, which is a legitimate and useful way to think of s corporation, and a legal fiction, which is the silly idea that corporations are persons. It makes no sense to me to say that a corporation can be malicious or virtuous. Only the people running it can possibly have those attributes. And those are the people that should pay (fines, jail) if they do something illegal. I actually know people who proudly consider themselves social justice warriors, so regardless of how the term originated, apparently the connotation is not always negative. I know, I did link to the Wiki article in the OP. But just because the decision is more than a century old it doesn’t make it any less silly. Or problematic. 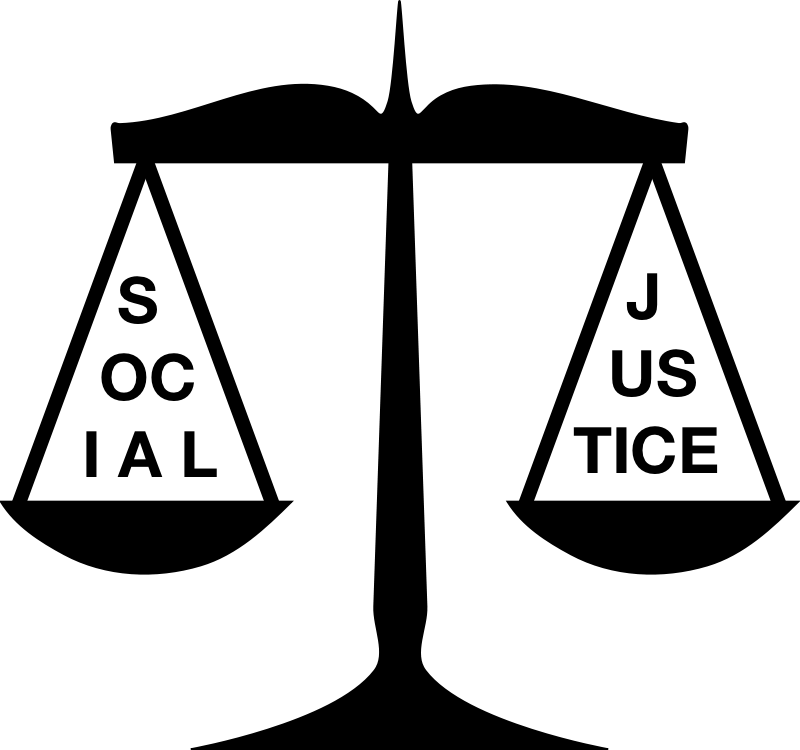 Yes, there are many proud social justice warriors out there, so the term is not always pejorative; in fact my impression is that it is generally not so (unless uttered by Sean Hannity ;-). I find stoicism to be a fantastic framework for viewing social justice causes. Forcing me to reflect on and subsequently “justify” my own behavior led me to consider animal right as a social justice issue which is consistent with the most current scientific findings on animal emotions and sentience (see, for example: https://www.psychologytoday.com/blog/animal-emotions/201603/why-justice-animals-is-the-social-movement-our-time). How great that science and research have finally caught up with compassion! It’s a win-win for stoics. born into the world to enjoy. Given that eating meat (and wearing leather, etc.) is not necessary for a healthy, long life, my pursuit of virtue through justice led me to veganism. And, let me conclude by noting that the behavior of corporate managers is decidedly outside our control (a preferred indifferent would be for them to behave in a different way, and we can vote or protest but still not control them), whereas we are in complete control of how we treat animals and how we pay others to treat them. What an easy realm of social justice to put to rest for once and for all.